We are investigating potential lawsuits throughout the United States for claims on behalf of victims who took the drugs and have suffered from pancreatic cancer. These lawsuits will allege product liability, negligence, and failure to warn claims against Merck & Co., Inc., the manufacturer. What are Januvia and Janumet? These drugs used to treat specific types of diabetes. Januvia is a prescribed pill taken once-daily to help manage blood sugar in adults with type-2 diabetes. Janumet is a prescription used to manage blood sugar in adults with type-2 diabetes mellitus. Type-2 diabetes (also known as adult-onset diabetes and non-insulin dependent diabetes) affects the body’s metabolization of sugar. With type-2 diabetes, the body is either resistant to the effects of insulin or does not manufacture enough insulin. The effect is that the body cannot maintain a normal glucose level. How do Januvia and Janumet Work? Januvia and Janumet are new classes of drugs known as sitagliptin which are dipeptidyl peptidase-4 (DPP-4) inhibitors or blockers. These DPP-4 blockers help the body to manage blood sugar levels. They increase the amount of insulin manufactured by the pancreas when blood sugars are their highest (usually after eating). They also lower the amount of sugar manufactured by the liver after eating, when the body does not need it. What are the Warning Signs and Dangers of Januvia and Janumet? 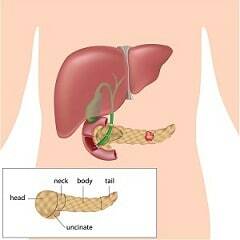 Januvia and Janumet may cause acute pancreatitis and, as you will see below, pancreatic cancer. On September 25, 2009, the FDA issued a warning to healthcare professionals that the drugs have been associated with 88 cases of acute pancreatitis (including hemorrhagic and necrotizing pancreatitis) by patients using sitagliptin. These 88 cases were found using the FDA’s post-market surveillance and occurred between October 2006 and February 2009. Incredibly, there is a bigger problem with Januvia: pancreatic cancer. There are studies that show a 2.7-fold increase in pancreatic cancers for those using Januvia and Byetta. What does this mean? It means if you are taking these drugs and you develop pancreatic cancer, it is more likely than not you got it as the result of using these diabetes drugs. What is the settlement or trial value of a Januvia or Byetta pancreatic cancer case? Well, these cases have not started settling in massive numbers. But, we try to estimate the value of Byetta and Januvia claims to try to give some idea of the potential settlement and trial value of these cases. Why is the FDA Worried about Januvia and Janumet? The FDA is concerned about Januvia and Janumet because they have received numerous reports that patients using the drug have developed acute pancreatitis. 66% of those patients required hospitalization, and four of the patients were transferred to the intensive care unit. Many of these Januvia and Janumet patients developed acute pancreatitis shortly after starting the drugs or changing dosage. Over half of the cases resolved after Januvia and Janumet were discontinued. Acute pancreatitis can be fatal. The FDA is warning patients and their healthcare providers to watch for the warning signs listed above, and to closely monitor patient health immediately after starting the drug or changing the dose. They are working to update Januvia and Janumet’s warning labels to reflect these new dangers. Click here to see the FDA’s warning to healthcare professionals. Do I Have a Januvia Claim? If you or a loved one has used Januvia or Janumet diabetes drugs and suffered from acute pancreatitis or pancreatic cancer, please call one of our Januvia and Janumet attorneys at 800-553-8082 or click here for a free no obligation consultation.